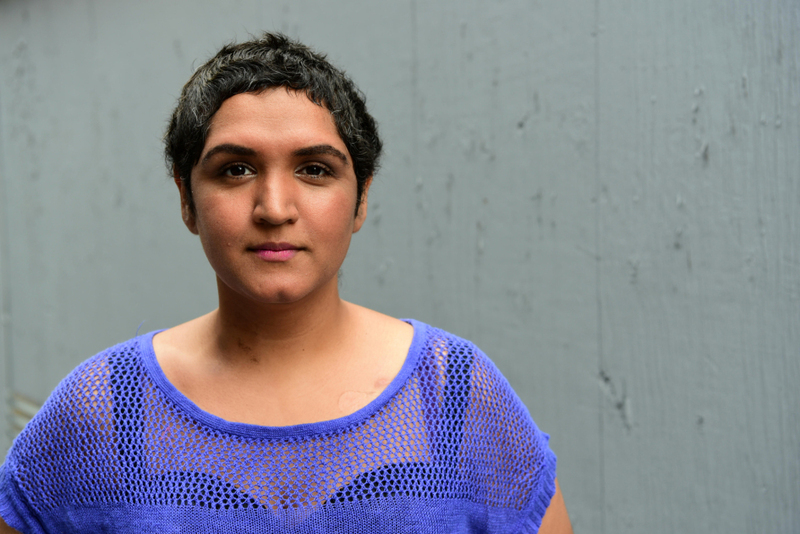 Lavina is passionate about working on theatre projects that are inclusive, intersectional, and urgent. She rallies support for her activism enthusiastically and vocally. Even though many of her peers have been concerned this outspokenness could backfire and limit her career, this hasn’t been a problem. She knows what she stands for and has directed and/or assistant directed all over the country. In September, she will open the prestigious Writers Theatre 2018/19 season in Chicago directing “Vietgone” by Qui Nyugen. In 2017, she worked on over a dozen projects in a business where you can go months, even years without a job. But she had an unforeseen plot twist in her own life, a cancer diagnosis. RAINEE: Tell us about 2017. LAVINA: You know, it was complicated, right? Early December 2016, I was lying in bed watching The West Wing, and I put my hand on a lump. I was 33. I never did a normal self-exam, or get a routine mammogram, or have any genetic history to be concerned about. RAINEE: You went right to having a plan? LAVINA: Because of the time of year, everyone was gone for the holidays. A meeting with my medical team was scheduled for January 6th. And that was probably the hardest part, the waiting. I’m feeling, hey, this thing is trying to kill me, but I’m being told everything’s fine waiting till the 6th.’ I wasn’t working at the time, so all I could do was work on my Uncle Vanya adaptation. And wait. So, on Jan 6th my medical team and I met and finally came up with a plan. And I said well, I’m scheduled to leave tomorrow to work on a play, Roe by Lisa Loomer, in DC and they said “it’s going to take your insurance two weeks to process everything anyway. They have to approve the chemo drugs, and surgery to put in the port, and the injections after the chemo drugs, etc. so if you have something that keeps you busy and distracted, go do that.” So, I left. RAINEE: What was that like? LAVINA: Well, I made the choice to be transparent about it. Working in theater, relationships are so important, and yet you work with people you that you don’t see all the time, so I wanted everyone who wanted to know to be in the know. When I have friends who face a serious thing, I want to know, a) because I care about them, and b) I also have a morbid curiosity about things and I want to know, what is that like? RAINEE: So, you finished up in DC with one of your favorite projects. Then what? LAVINA: My treatments started the Tuesday after the inauguration. I remember that weekend lying in bed and knowing I did not want to get out of bed because I just had chemo. And I was frustrated because of the political mess, and my body didn’t have the energy to protest or march with my friends. RAINEE: You didn’t stay down long though. LAVINA: No, I was working through most of this because I had things booked! I think most people would have understood if I needed to take a step back. On a project someone asked me, “Has your work changed because your relationship to death has changed?’ I didn’t think about that. I trust science. And I’m a Hindu, we believe in reincarnation. Death is not something I spend a lot of time thinking or worrying about. I am afraid of pain. RAINEE: What was the hardest part of the treatment? LAVINA: Well, the times I got most emotionally charged weren’t when things changed, that was fine. But when I didn’t know what was going to happen. I had to have a lumpectomy and they said all the lymph nodes removed were negative, so I felt a sense of victory. But then the surgeon called me back and said it turned out one was negative, so they had to do a second surgery to take out more. I kind of lost it. I felt like I had a win, and it was taken away from me. RAINEE: Lots of up’s and down’s. When you think about it, each chemo is like 4 hours with needles attached to you. It might as well be fun, you know? Let’s schedule some pals, and if it’s a long session, we’ll schedule them in shifts. There’s a lot of waiting involved, and I recognized that’s something I’m not in control of and can be deeply frustrating. Unless you have people with you, and then it’s like, whatever, I’m hanging out with my friends and we also happen to be getting this other thing done. RAINEE: And I’m one of them! What did you learn from other survivors? LAVINA: Well, I got involved, did the walks, and helped raise money for cancer research. This is one of my favorite groups: radiantwarriorsfoundation.com. But I learned that everyone’s diagnosis is different, and everyone’s experience is different. A lightbulb went off for me though when I realized, ‘I need help and I’m going to be OK accepting help.’ Especially hard coming from the Indian culture and being a woman as well. I intellectually knew but emotionally came to understand that if someone wants to help you, you accept that help, and then you say thank you. RAINEE: What did you learn in this process? I still get fired up, especially about injustice, or if you treat my team badly. But I’m not likely to hold onto negative things. Cancer is a part of my life, but it’s not the only thing. LAVINA: I love that. Why not? I am a director, after all! Just like mounting a play-I had my team of experts, I shared the vision for this with them, and said, do what you want! 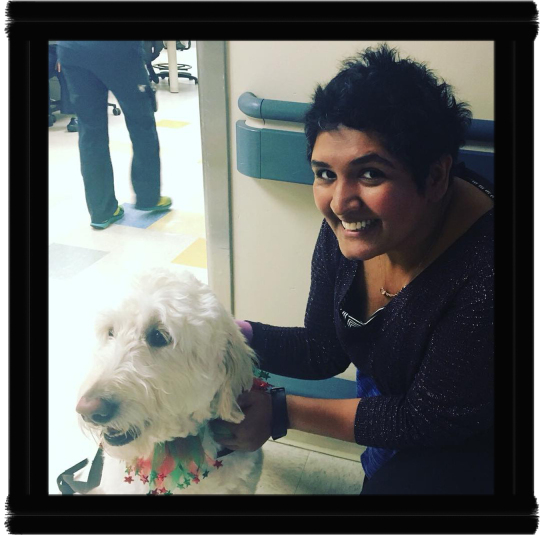 Her Viva Lavina supporters are organizing a bash called “The Port-out-Party” where everyone will celebrate the final milestone of Lavina’s journey through breast cancer-the removal of her subcutaneous chemo port!